﻿ Climate Engineering: Innovative Solution or Ethical Dilemma? “The warming from CO2 that we put into the atmosphere is nearly permanent. So any goal we set, like keeping warming to two degrees Celsius or below, has a carbon budget associated with it,” said Mach. Sometimes called geoengineering, proponents argue that climate engineering strategies “can effectively expand the remaining carbon budget, giving us more ability to ambitiously rein in our emissions of gasses through time and limit dangers of climate change,” she said. Carbon dioxide removal, for example, involves either capturing carbon dioxide immediately after combustion or directly “grabbing” it out of the atmosphere using chemical reactions. The goal is to ultimately compress and inject the carbon dioxide underground “where it can be stored nearly permanently in geological structures,” said Mach. Solar radiation management—reflecting sunlight away from earth—is another possible method of controlling the climate. 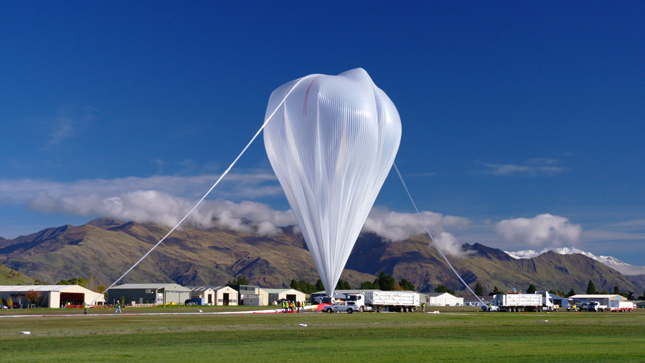 Injecting aerosol droplets into the stratosphere or saltwater into clouds over the ocean could make them more reflective to sunlight, said Doug MacMartin, a senior research associate at Cornell University. “In principle, if you reflected some sunlight away, you could cool the planet and reduce some of the consequences [of] climate change,” said MacMartin. Although these technologies are still in the research and development phase, the prospects of climate engineering highlight pressing concerns about environmental ethics and governance. David Morrow, a fellow with the Forum for Climate Engineering Assessment at American University, argued that intergenerational impacts, as well as the fair distribution of benefits and risks, are potential ethical issues related to climate engineering. It is important to pay close attention to “the processes by which decisions get made connected to the development or deployment or non-deployment of geoengineering,” said Morrow. Climate engineering is on the table “because the situation is getting pretty desperate,” argues Simon Nicholson in a podcast on its potential unintended consequences. How we talk about ocean iron fertilization is driving opposition to it. The checkered history of weather control goes back farther than you think.